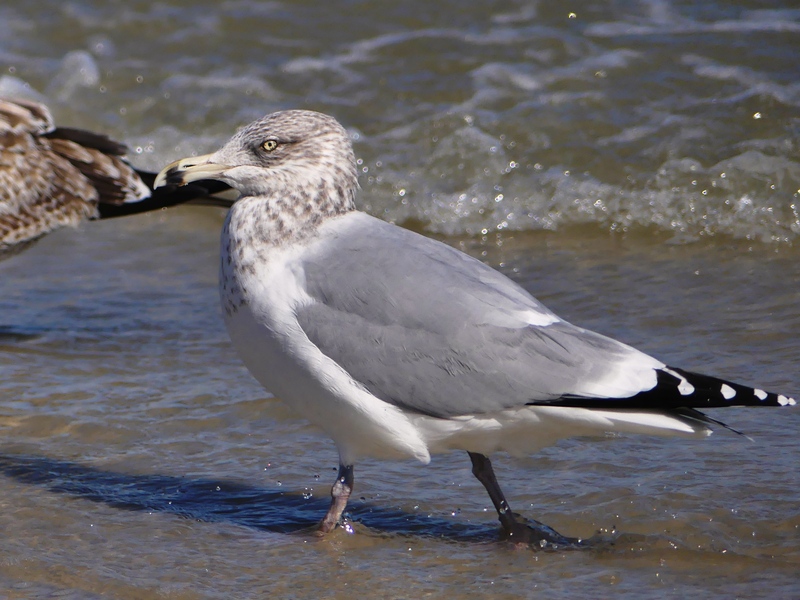 Most birders don’t head to Florida in the summer. And, I wouldn’t either if my step-daughters and my best friend didn’t live there. 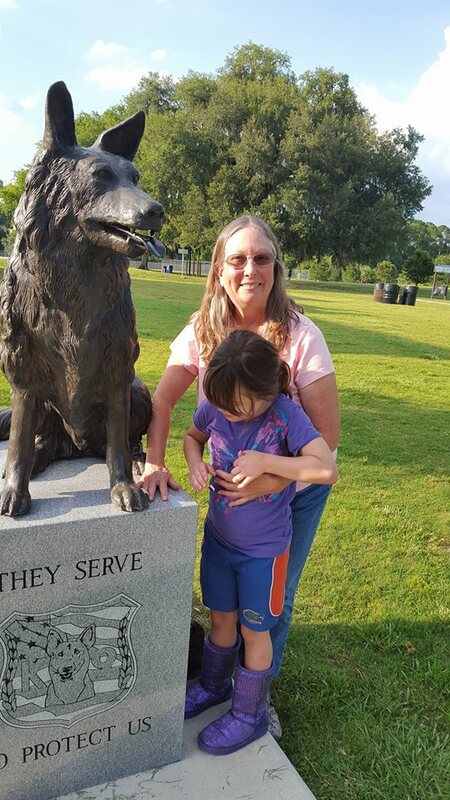 I lived in Florida, too, for over 30 years, so it still feels like home and I visit every chance I get, even in summer. Mid-day can be brutally hot and muggy, but nights are usually balmy and lovely. The fresh gulf air brings memories of childhood summer days spent at St. Pete and Clearwater beaches. How I wish my mother were here to see how much like her I’ve become. As a teenager, I wanted to go to the beaches with nothing but pure white sand. 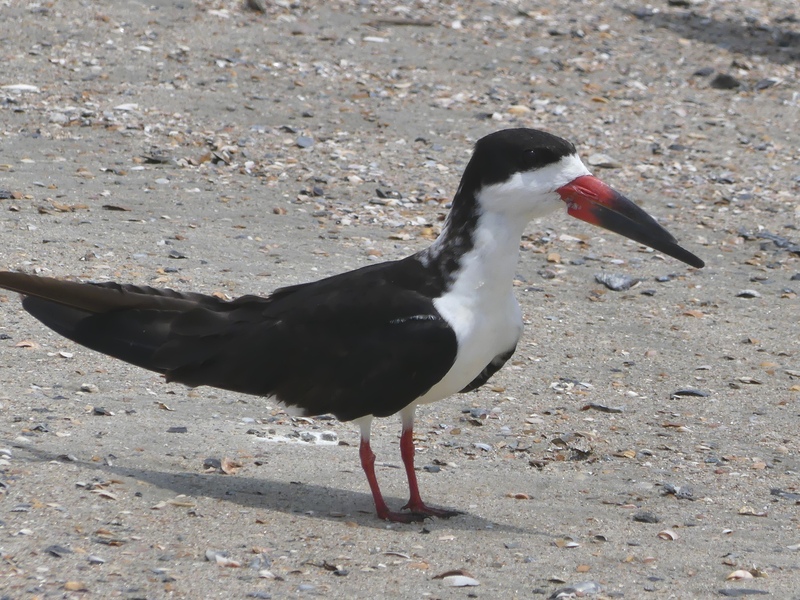 My parents preferred beaches with signs of life – sandpipers, pelicans, fiddler crabs, shells (some still alive). 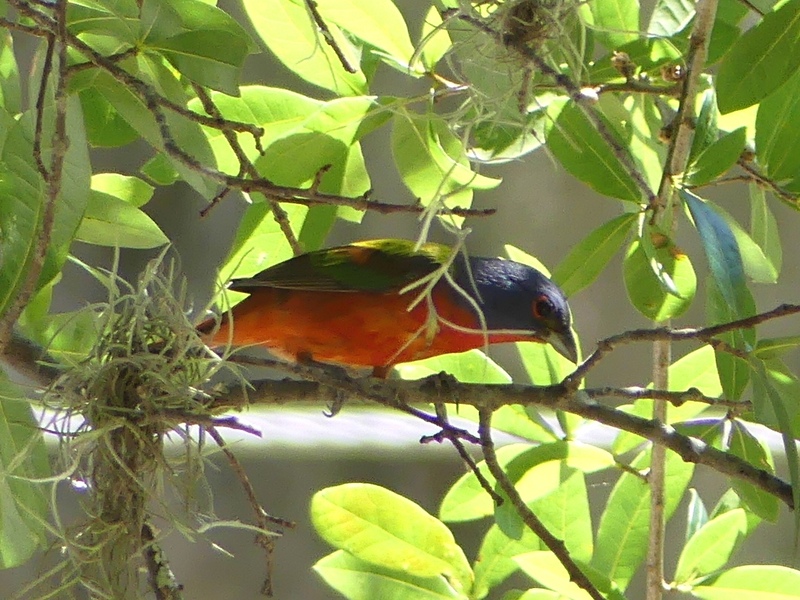 I’ve had many rewards for summer birding in Florida. 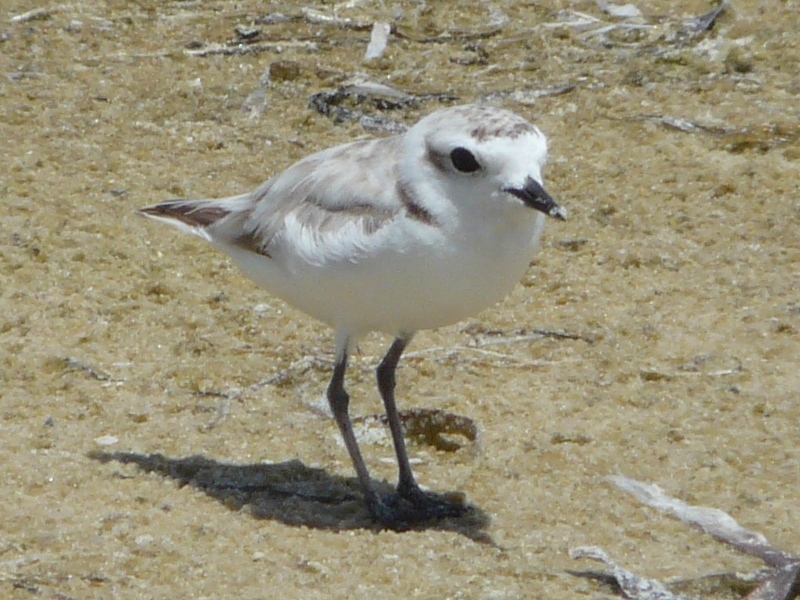 The first was seeing brand-new just-fledged Snowy Plovers on July 7, 2008, on Caladesi Island. 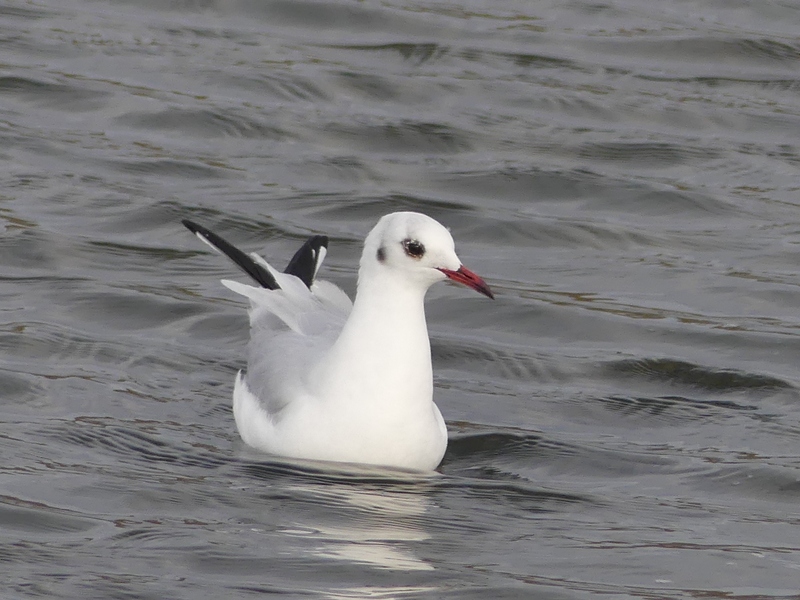 David and I devoted an entire day to searching for these birds which had risen to the top of my most wanted list. 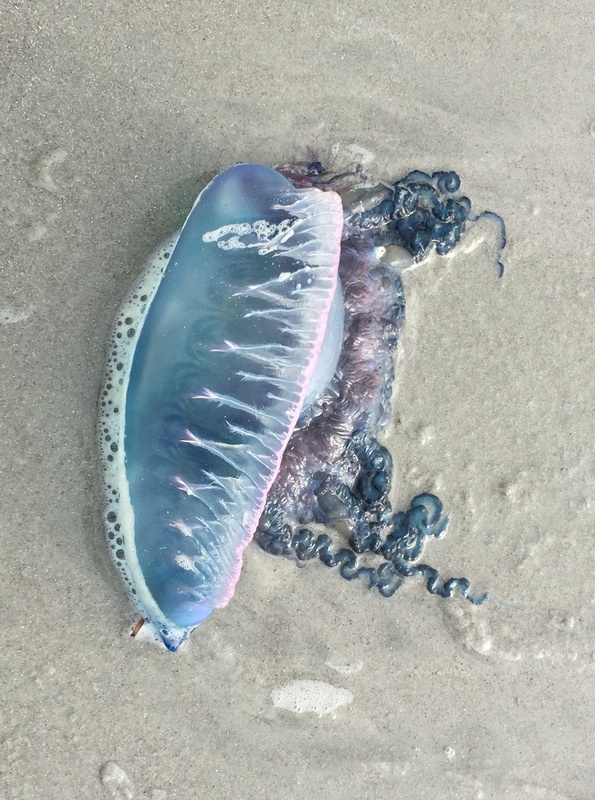 Their light colors blend into the sand in the hot summer sun, but David quickly found a group of five. 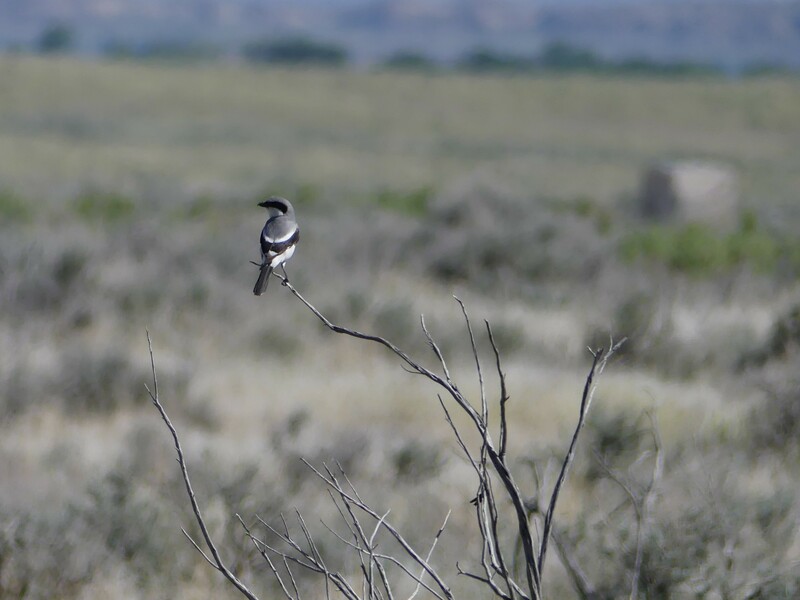 Loggerhead Shrikes are also memorable summer birds. 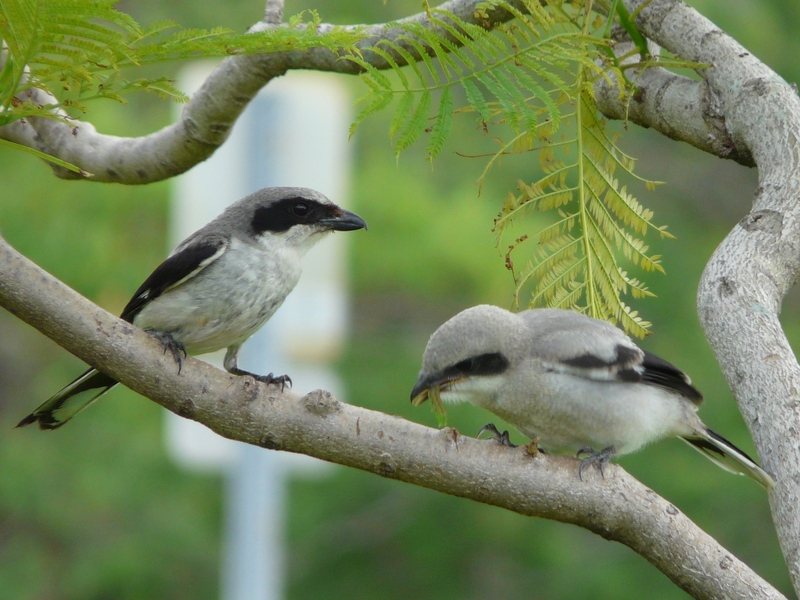 On June 27, 2009, I was thrilled to watch a Loggerhead Shrike family at St. Pete’s North Shore Park. 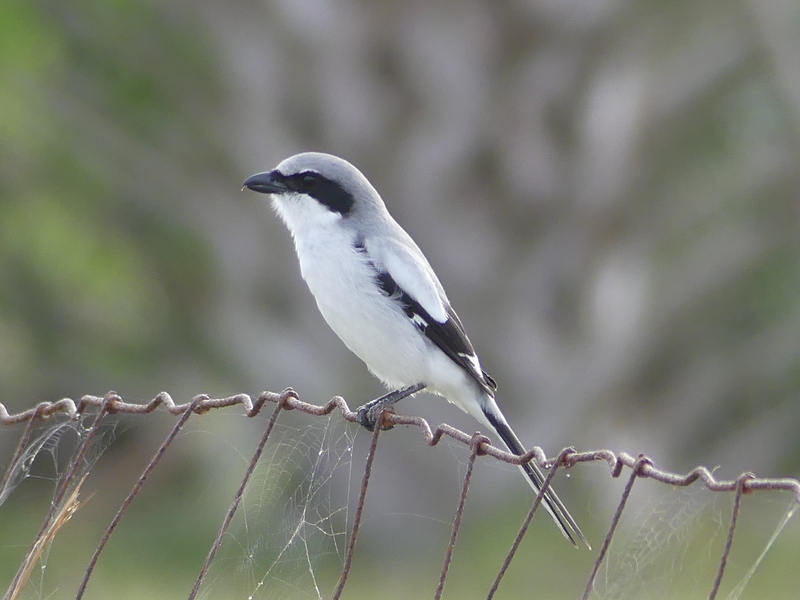 A juvenile Loggerhead Shrike enjoys lunch provided by a parent. 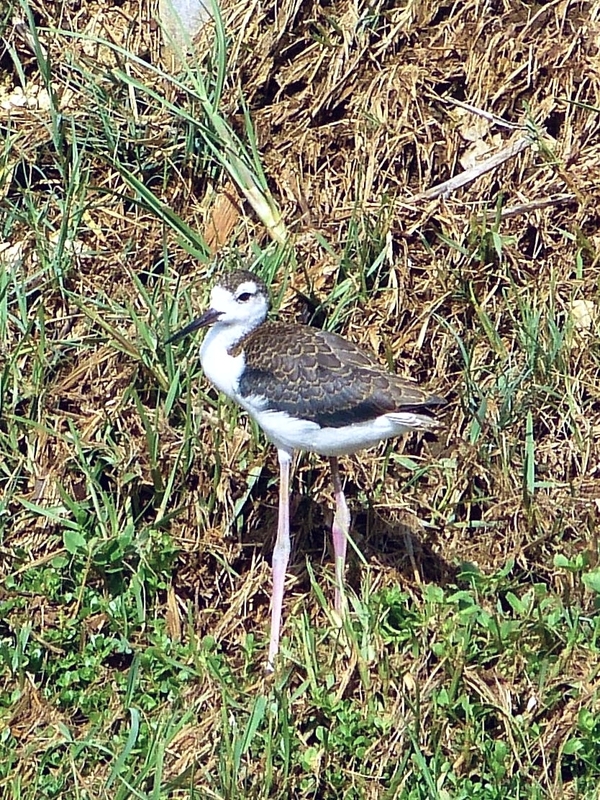 On June 22, 2013, we enjoyed a group of 14 Black-necked Stilts, including several juveniles, in a ditch between the road and the county landfill. 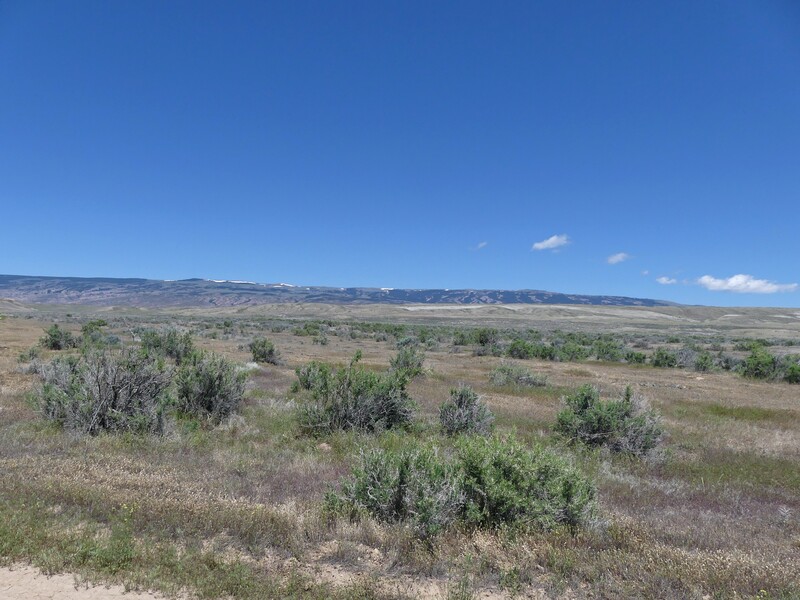 This year I headed south on June 20, the first day of summer and my step-daughter Debbie’s birthday. My first stop was Savannah National Wildlife Refuge. It’s birdier in winter, but I enjoyed watching mama Red-winged Blackbird feed two begging fledglings. Common Gallinules were accompanied by little fuzz balls. I tallied 20 species and drove to my motel. 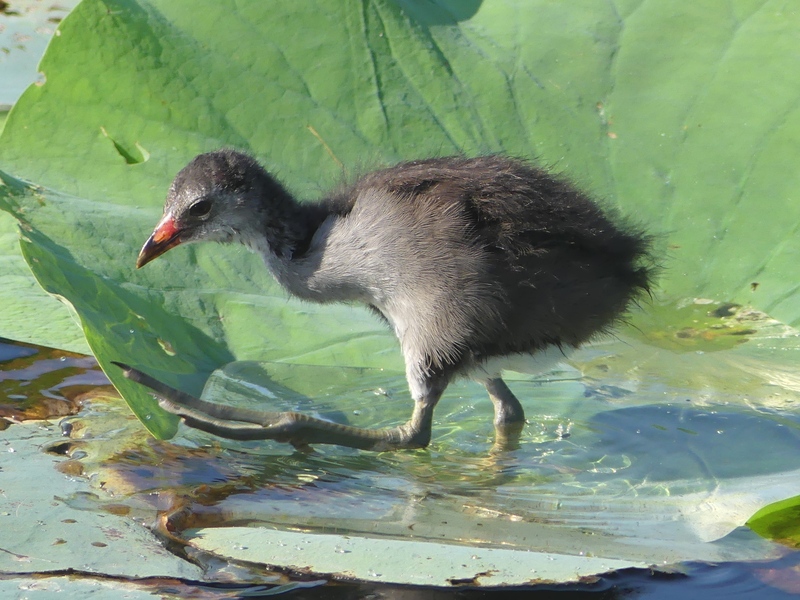 Juvenile Common Gallinule. Note the feet on that baby! I went back to Savannah NWR the next morning and then drove on to Harris Neck NWR, another of my favorite places to stop on the way to Florida. Harris Neck’s Woody Pond is one of the south’s biggest rookeries and it overflows with Wood Storks, White Ibises, Great Egrets, and other wading birds in the spring and summer. 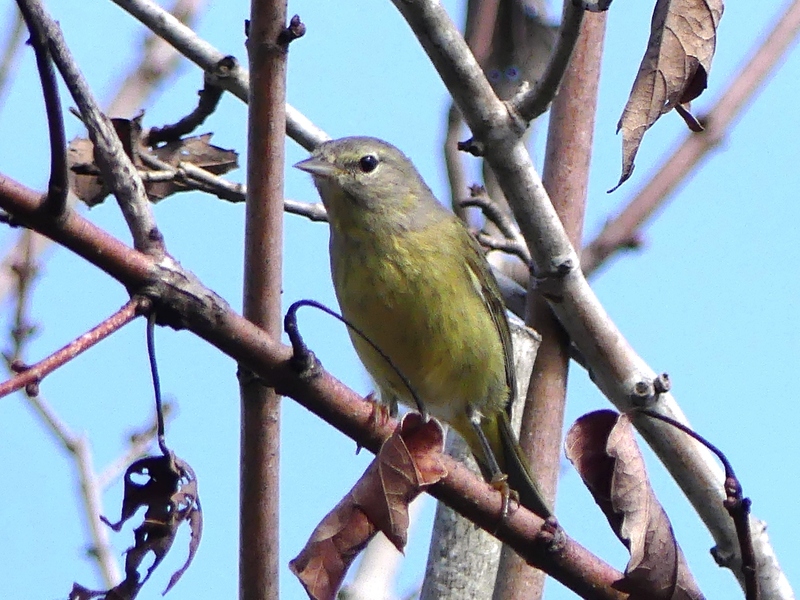 Harris Neck also hosts breeding Painted Buntings. They are a little shy, but I was able to photograph this gorgeous male after he flew from the feeder to a close-by tree. Sweetwater Wetlands Park was created to improve water quality in Paynes Prairie. It filters pollutants from urban runoff and wastewater which were harming the Alachua Sink with an excess of nitrogen. The wetlands were also designed to also be an environmentally friendly park. The result is outstandingly successful. 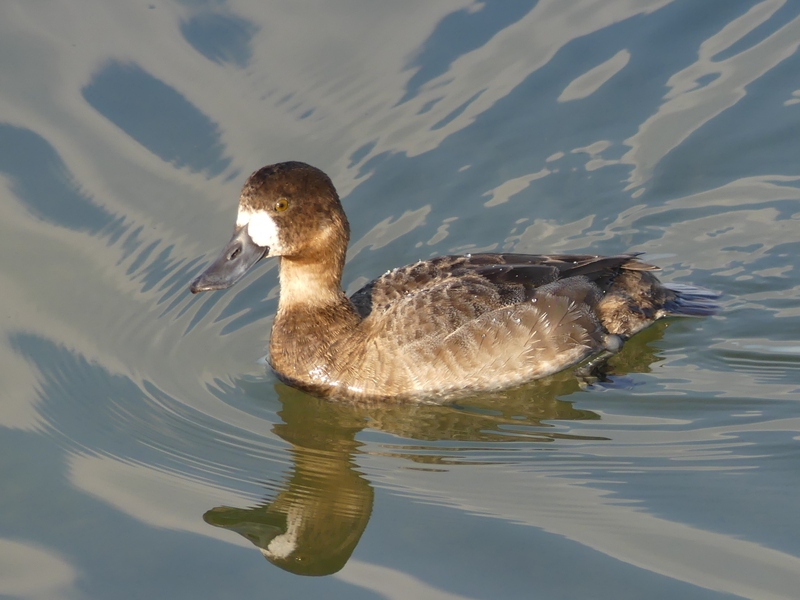 It is beautiful and functional and 217 species of birds have been reported there since work on the wetlands began in 2008. 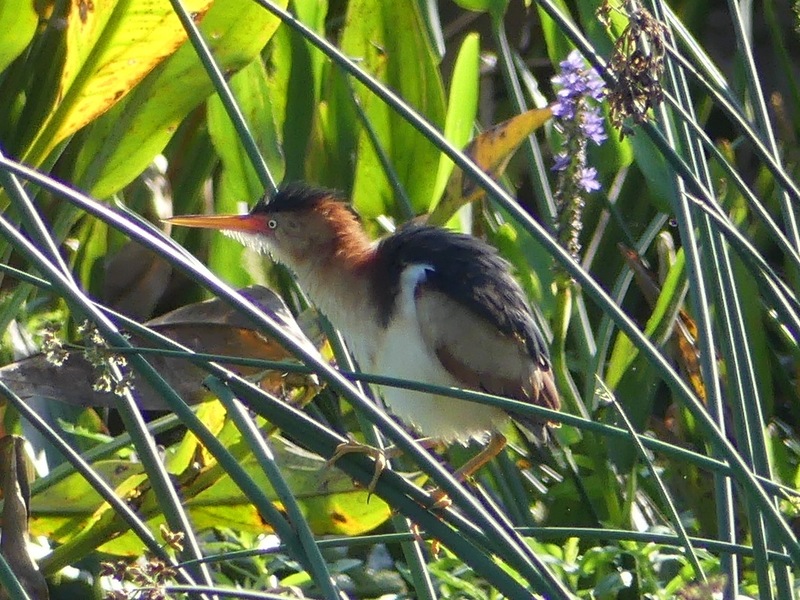 One species that I especially appreciated was Least Bittern. 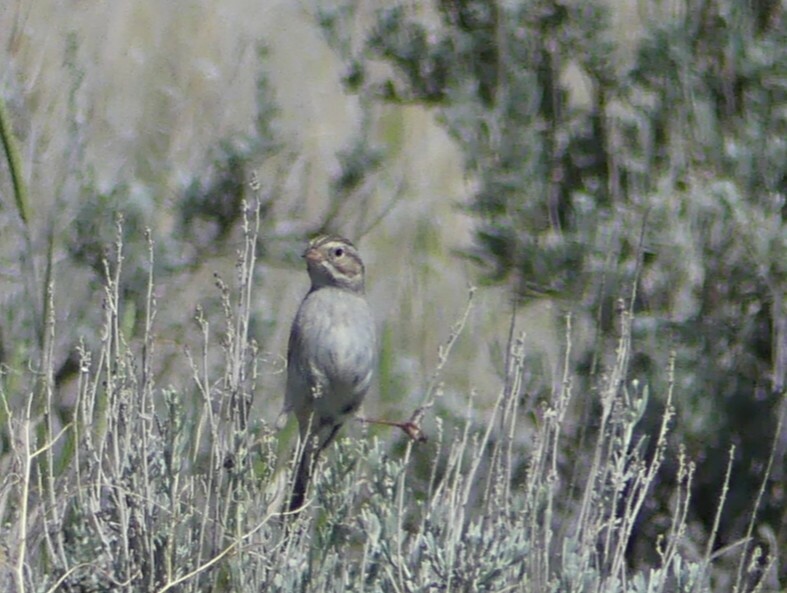 I had seen this secretive bird only a few times previously, but at Sweetwater there were lots of them and I even got a photo. 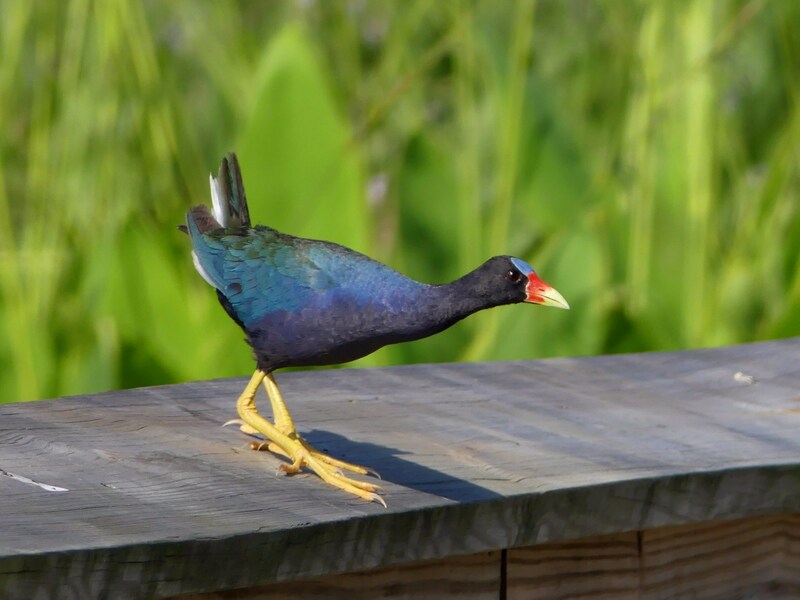 Birds at Sweetwater are accustomed to people; Limpkins and Purple Gallinules perch right on the boardwalk rail. On Friday I moved farther south to visit David and Val in Dunedin. We had a rather quiet weekend, but I always enjoy spending time in the county where I grew up. On my first evening there, Ruddy Turnstones entertained me on the Dunedin Causeway. 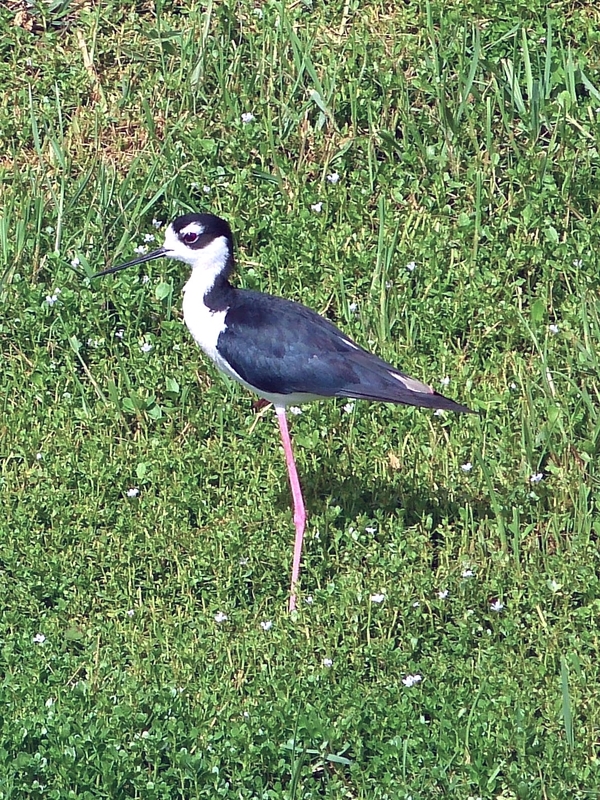 My appreciation for this common bird has increased since David and I found a banded one (with color flags) on August 11, 2012. 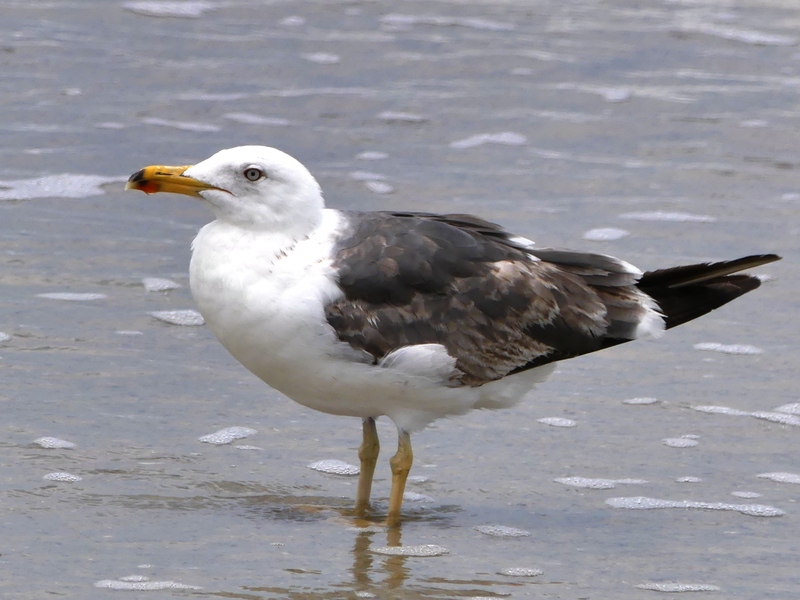 I reported that bird to Bandedbirds.org and learned that it had been banded along the Delaware Bayshore in the month of May, most likely in Delaware in 2009. 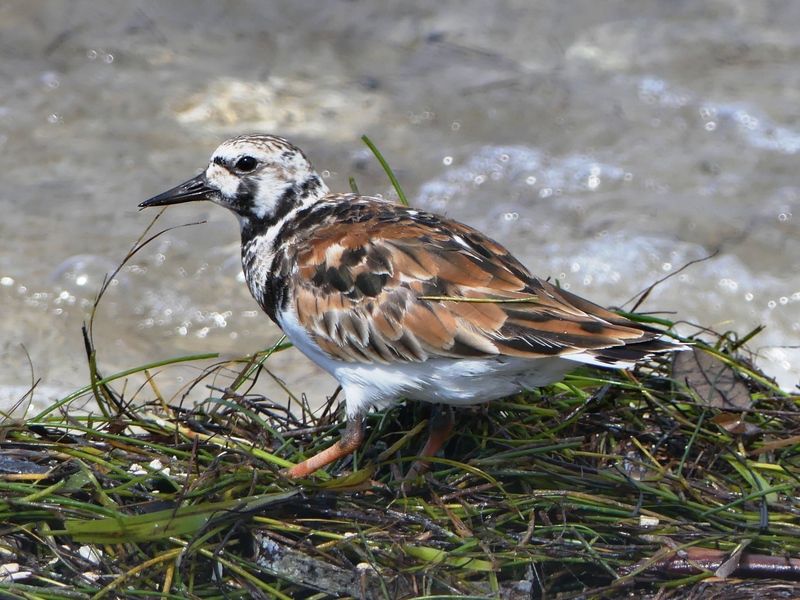 Ruddy Turnstones have a very wide range, but North American birds breed in the far north arctic and winter along the U.S. coast and southwards to the southern tip of South America. 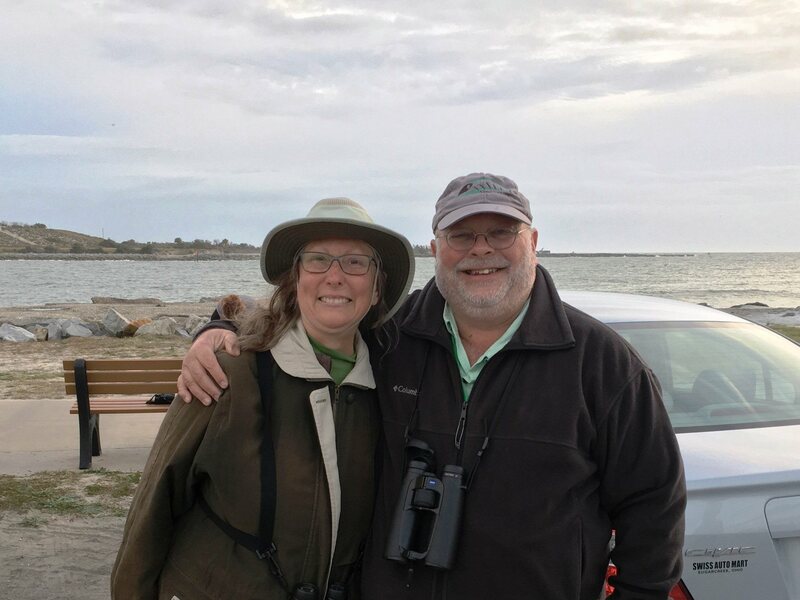 The turnstone that David and I found had already flown thousands of miles in its young life. 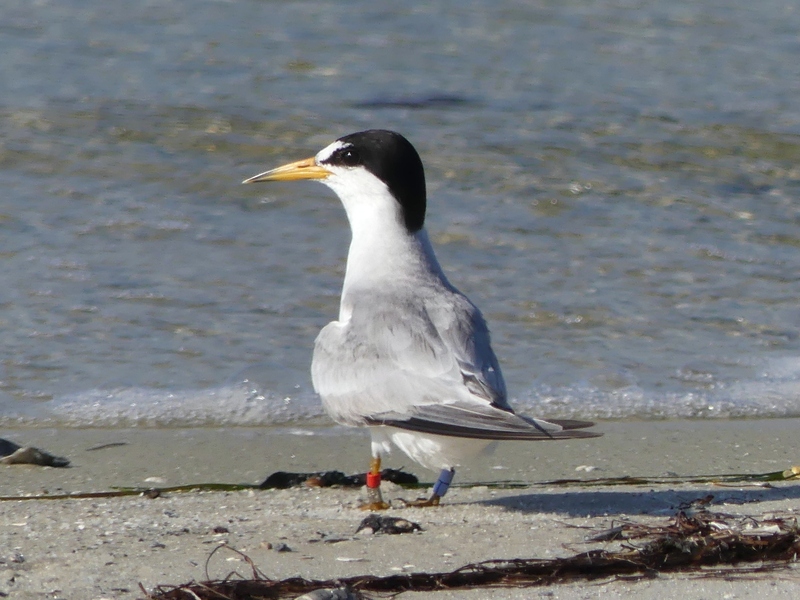 On Saturday morning, David and I found another banded bird, a Least Tern, and this one had color bands enabling it to be traced to a specific bird. It had a very interesting history related to us by Dr. Marianne Korosy. 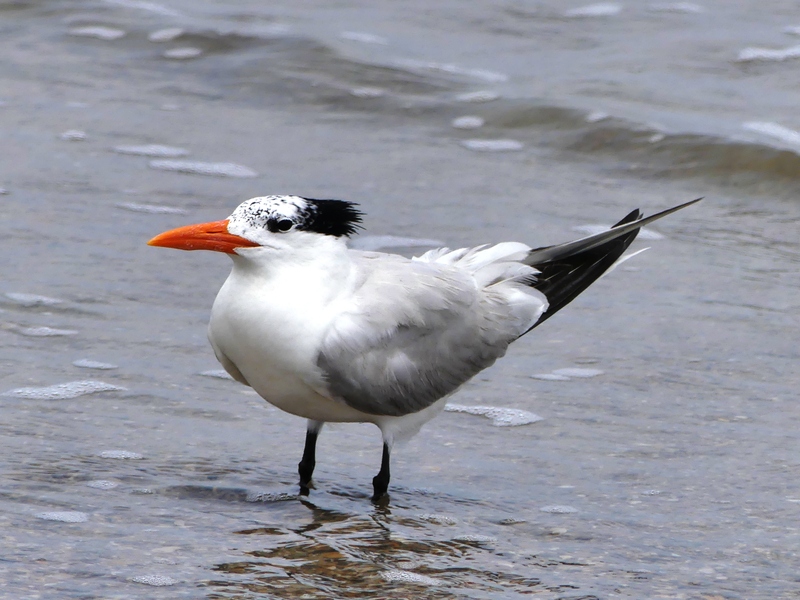 “This bird was banded at the Ulmerton Warehouse complex, a rooftop nesting colony of least terns located just west of intersection of Starkey and Ulmerton Rd. in central Pinellas County in 2011. It was banded as a chick when it fell off the roof there and survived unharmed. It was banded and then returned to the roof. 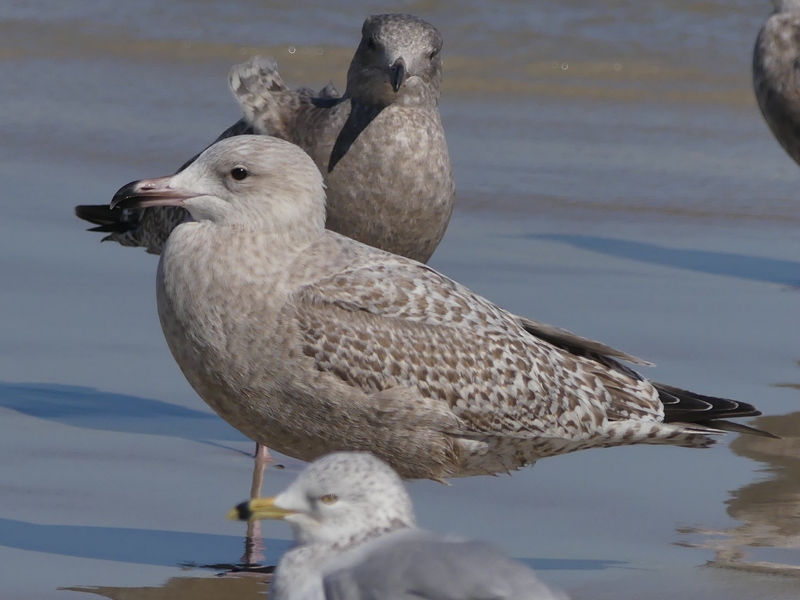 The last time this bird was seen was July 20, 2011 on the south end of Clearwater Beach.” Our report was the first in five years! 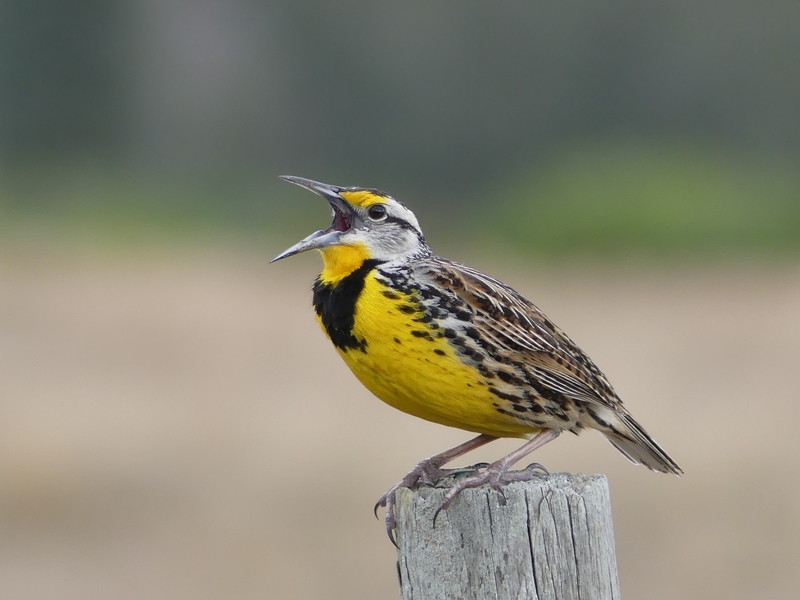 Least Terns are also migration champions. 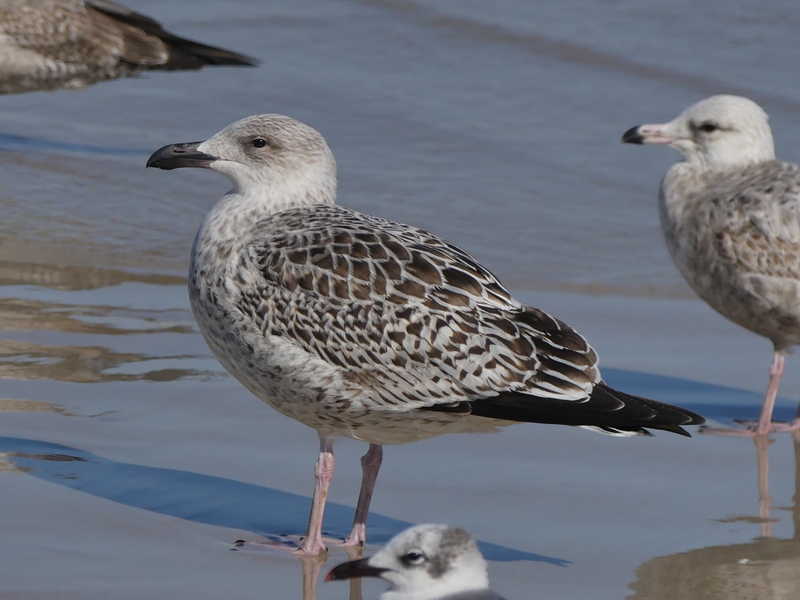 They leave North America entirely in winter, moving to tropical waters as far south as Brazil. 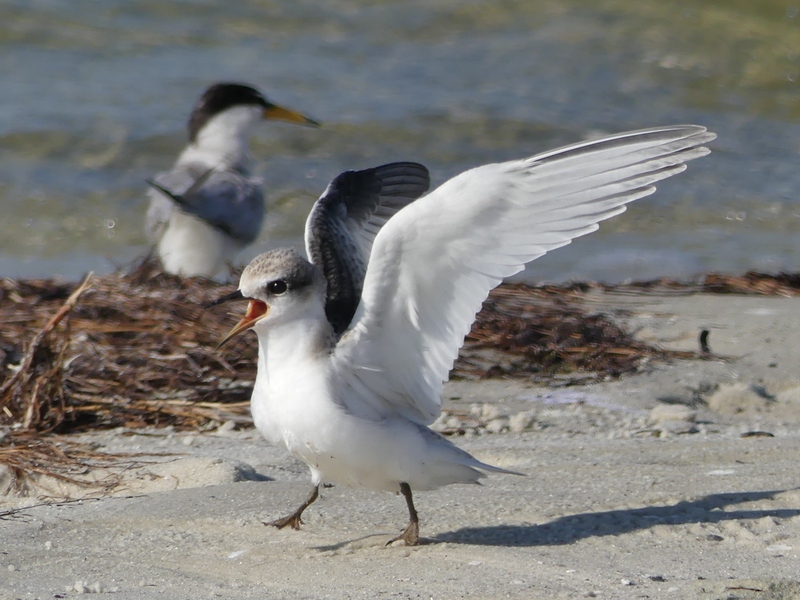 One of the young Least Terns in the flock at Courtney Campbell Beach. 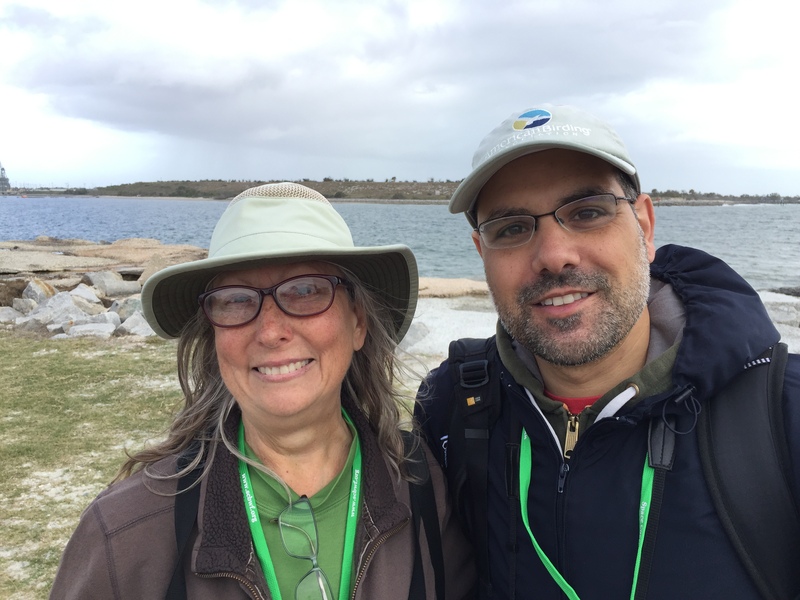 I left for home on Monday morning and decided to try some different birding stops on this trip. 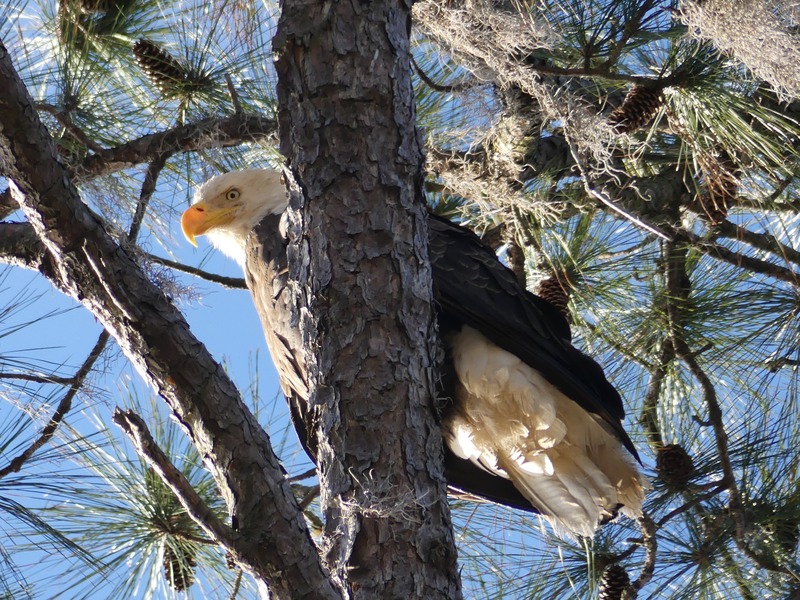 First was Okefenokee NWR in Georgia. I enjoyed getting to know the place a little. 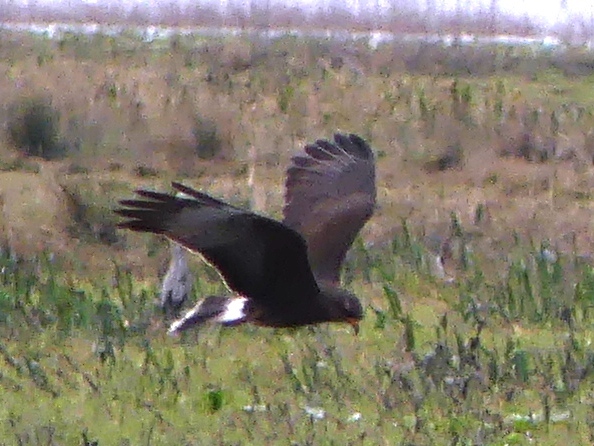 Several Bobwhites called during my few hours there. 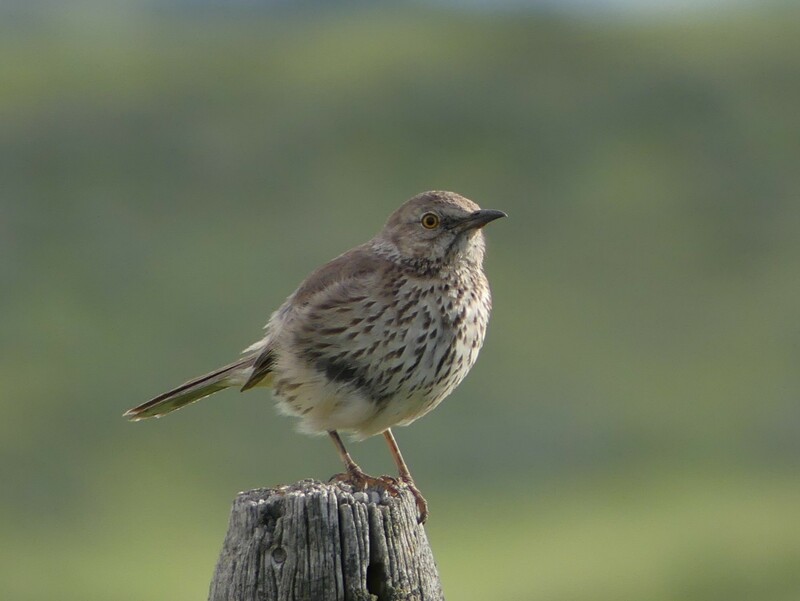 Bachman’s Sparrows were singing all along the wildlife drive. I made a mental note to go back some time in spring. Next was a detour to Tybee Island. 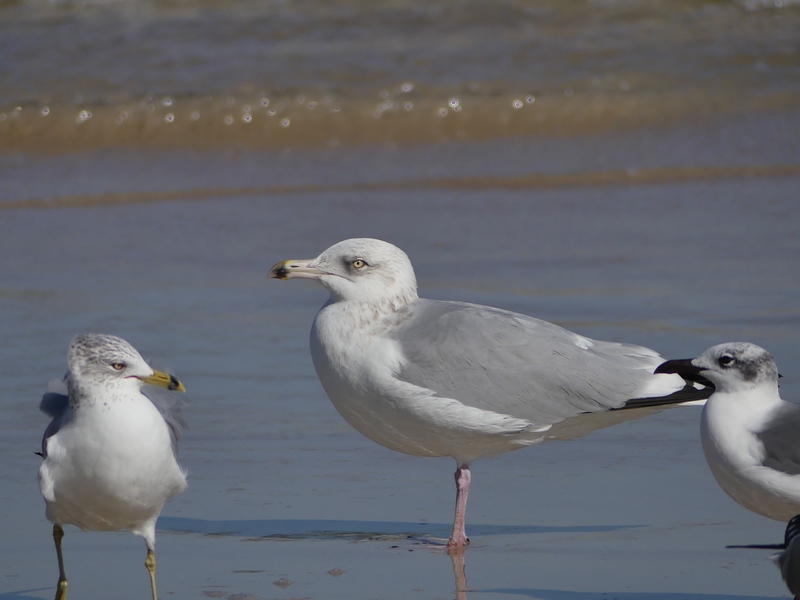 A Lesser Black-backed Gull and Common Terns had been reported recently and I thought it would be fun to see them. After I finally found the north beach and a parking spot, I walked to the water. I had no idea which way to walk, so I turned right. No birds were in sight except for a cormorant and a couple of Brown Pelicans that few over the water. I resigned myself to having wasted several hours for nothing. And, then I saw the flock! 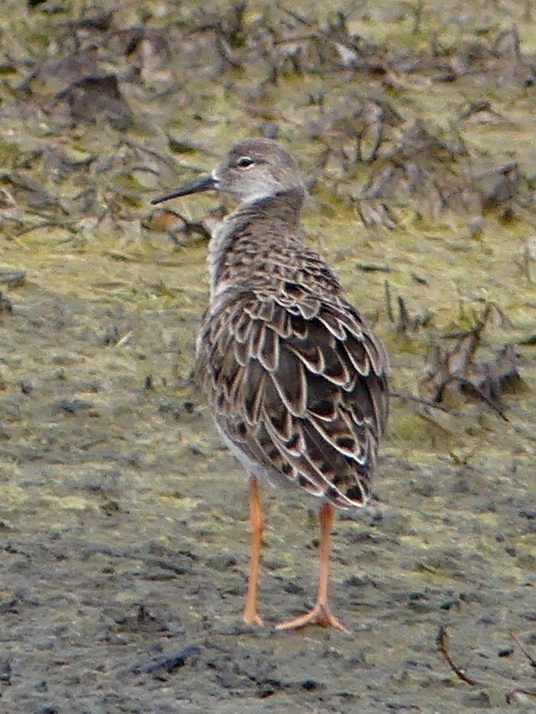 Literally hundreds of birds were at the water’s edge where the shoreline curved. 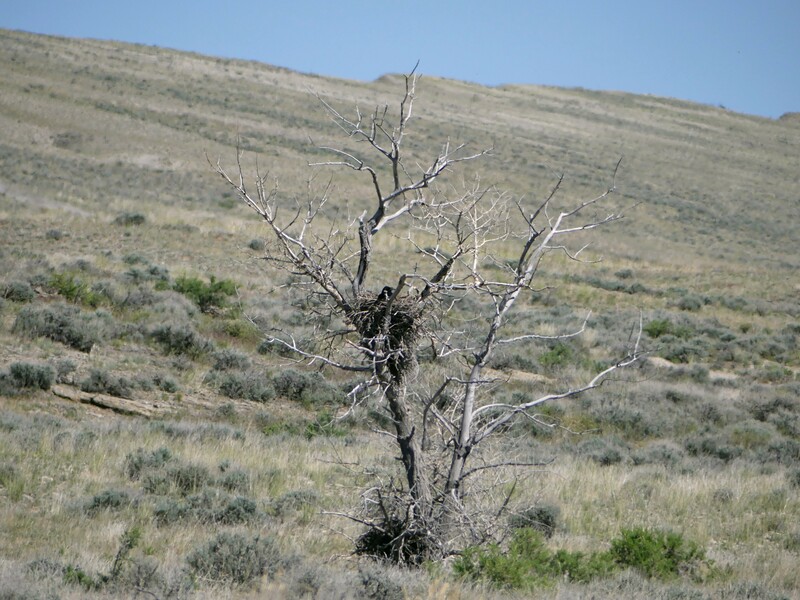 I love this kind of birding; the birds calmly stayed put or flew just a short distance before settling down. There were no trees for them to hide in. 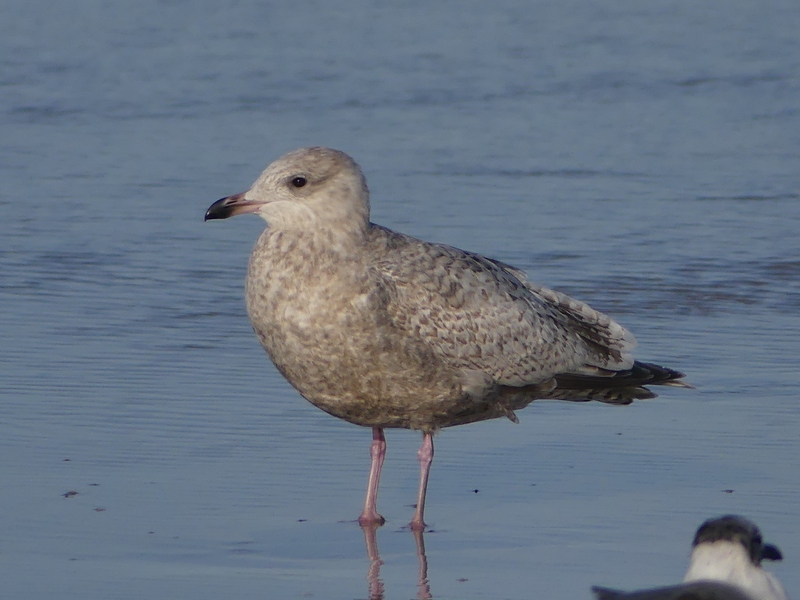 Yes, beach birding is definitely the way to go for those with poor vision. More photos from this trip are on Flickr in my NC to FL – June 2016 album.